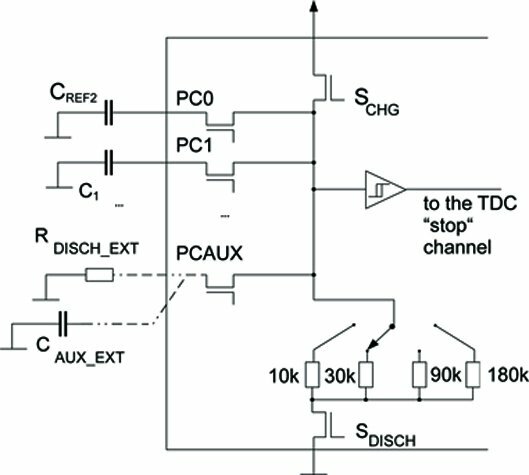 The PCap04 is a capacitance-to-digital converter (CDC) with integragrated digital signal processor (DSP) for on-chip data post processing. The front end is based on the ams PICOCAP principle. 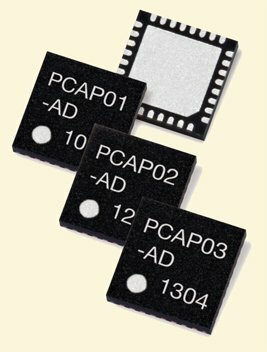 This conversion principle offers outstanding flexibility with respect to power consumption, resolution and speed.The PCap04 covers a wide capacitance input range from a few femtofarads up to several hundred nanofarads. It is easy to configure the PCap04 for different capacitance measurement tasks, i.e. single as well as differential sensors in both, grounded or floating connection. 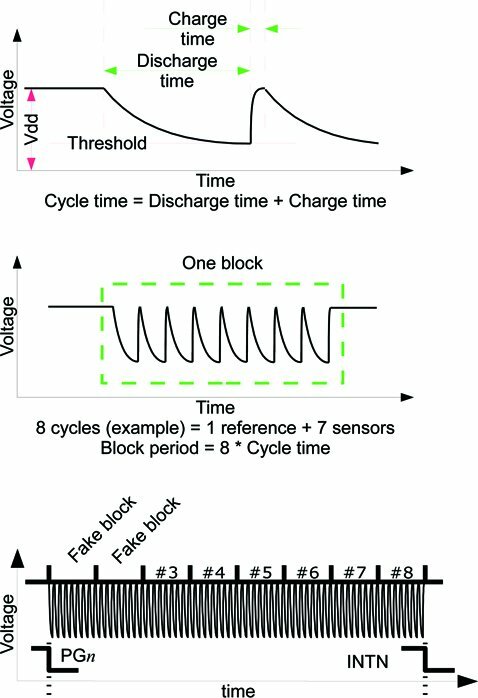 The on-chip DSP allows for implementation of sensor algorithms like linearization and temperature compensation, with data output in a digital (SPI or IIC) or analog (PDM/PWM) way. For customers that are unable to use the QFN24 packaged Pcap04 or require die for their own packaging, ams now offers die in wafer form. Customers requiring less than a wafer for smaller projects or first article builds, PMT (Precision Measurement Technologies) in Clearwater, Florida has wafer packs in 100 and 250 quantities available for quick turnaround. Whether you need just a few hundred or a few thousand, PMT, an ams Technology Center, ships worldwide and can help with your project. Please contact Sales@pmt-fl.com or call 727-532-6144 for pricing.